Lately the art world has shown a renewed attention for prints, drawings and ceramics. After a certain time of ‘oblivion’ such media are receiving a bigger share of attention due, in part, to the general revaluation of the process of production of an artwork, its effective manufacture by the artist himself. Beyond every fleeting trend, London’s Jealous Gallery and Print Studio, has always been focussed on the production of high quality prints. In a few years, Jealous arose to the attention of public and connoisseurs due to the dedication of the team and the innovative, collaborative approach in producing prints. In confirmation many of the silkscreen prints produced at Jealous are now part of the collection of various, renowned institutions, such as the V&A and the Tate Modern. Dario Illari, owner and director of Jealous, talks about the reasons behind the studio’s success: an eye for new talent and a good deal of passion. Caterina Berardi: How did you become a gallerist? Has anyone in particular inspired you? 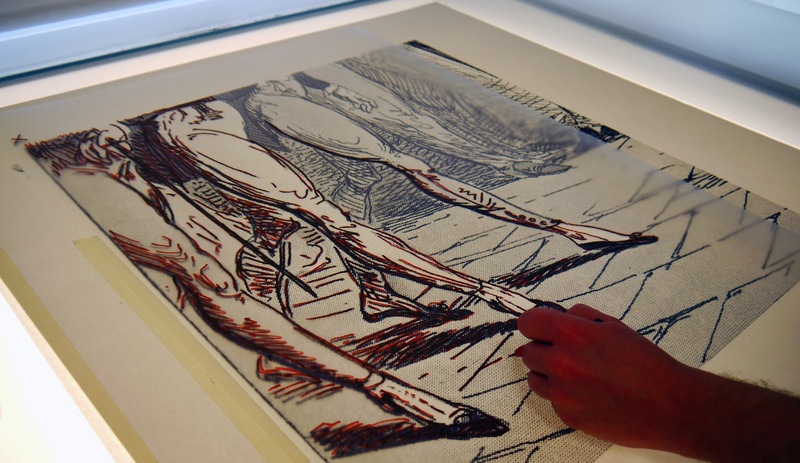 Dario Illari: I suppose that Jealous came about from a passion and love for collecting prints. With Matthew, a close friend and screen printer with many years experience, we decided to open a silkscreen studio and gallery in Crouch End. Our aim was to create a new space, making and showing prints by younger artists working in contemporary printmaking. I think my inspiration, or should I say my earliest love, was on first seeing the Brillo Box (1964) by Warhol, a piece that simply and succinctly, encapsulated the complexity of modern aesthetics. A beautiful, perfect thing that still manages to give me pause, and the piece that opened my eyes to what art was and what it could do. CB: So Jealous gallery mostly works with young artists, in what other ways does it differ from a regular gallery? 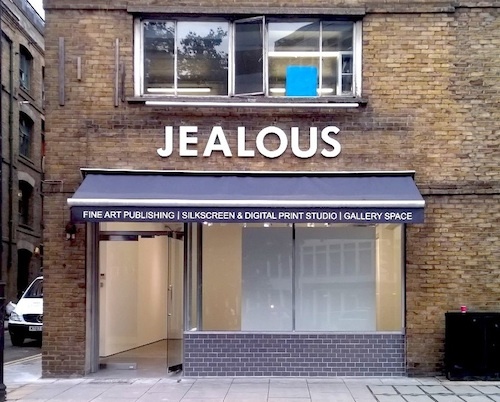 DI: At the heart of Jealous is our Print Studio. We don’t just show art, we make the art we show. Therefore we have a much more deep seated interest and belief in each work. We are closer to it. Adam Bridgland, a well respected artist in his own right, joined Jealous at the very beginning, and with him came the idea of the Jealous Prize; an award to one MA Graduate from each of London’s Art Colleges that enables winners to produce a limited edition print in our studio, to be shown in our Gallery Space and taken to the Art Fairs which we attend. We enjoy working with young, graduate and emerging artists. With them we can find a fearless energy and can-do optimism that, if nurtured and coaxed, can translate into strong and valid work. As we are growing in reputation for high quality work, we are being looked at by many galleries and institutions and now we are also beginning to attract more established artists, they want to make editions with us. At present we are working on a new edition for the Chapman Brothers, which for us is such an honour and also a sign that we are treading the right path. CB: Who is the most recent artist to join your gallery and why did you choose him/her? DI: Jealous does not really represent artists but more commonly we work with artists on individual projects. CB: Well, the actual production of prints being your main focus, rather than sales, this approach is more coherent with your philosophy. So who did you do the last project with? DI: We have just finished working with Fung Lam, the composer for the Hong Kong Philharmonic. We commissioned a piece of music to punctuate the twenty-fifth Anniversary of the Tiananmen Square student protests. 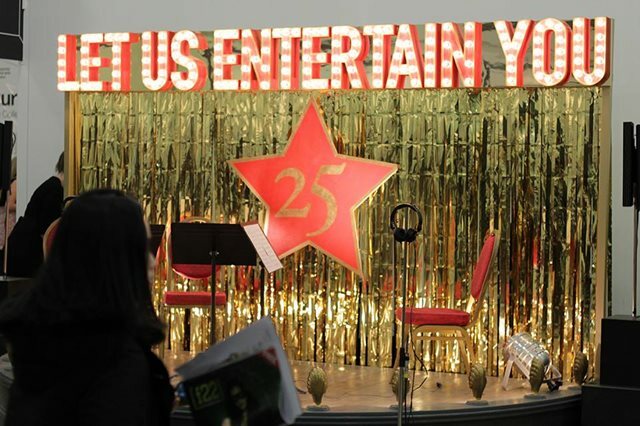 This was first performed at ART 14 on a specially built stage, with the aesthetic of a working men’s club stage: a gold tinsel curtain as a backdrop and the words ‘Let Us Entertain You’ written in lights running along the top of the stage. It was a way to examine the notion of protest as entertainment. Fung Lam is from Hong Kong and has been a friend of the Jealous for quite a while. The ideas for this work, as with most of our work, come from a deep seated belief in the validity and integrity of the notions that should form the foundations of any project. 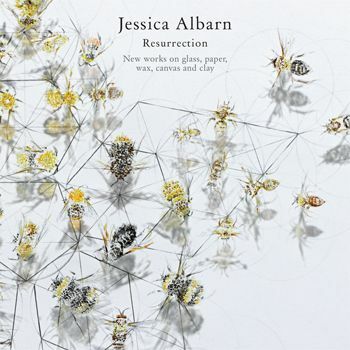 On a smaller scale we have just finished working with Jess Albarn, for her Bristol show held in a 13th century crypt in the walls of the city. As part of this project we produced sculptural screen-prints on Glass and helped curate the show. This work was produced not so much as a response to its surroundings, but more with a quiet respect and awareness of them. As such, we spoke in detail of the simple elements that were to be used to manufacture each piece. We always have a few projects running at one time, from simple live printing events to project managing larger installations. CB: Multitasking is your forte! In fact, as you’ve briefly mentioned before, you also organise the Jealous Prize, ongoing for five years now. Can you tell me a bit more in its regards? DI: Yes. As I mentioned before, the Prize is very important to us, as it is a prize given at a delicate moment in an artist’s life; the point at which they finish their education and step out into the world, to try to establish themselves as working artists. So many artists in this post-school period fall by the wayside. We work directly with these graduate artists in our studio not only to make and then show an edition, but also to make them aware of what it means to make an edition and a multiple, as something with its own identity, position and relevance, as part of their practice. Besides, printmaking has a more direct and immediate association with the commercial world, and it is this step into the commercial world that fine art graduates are sometimes buffered from in their education. To continue with their practice, there has to be a commercial element and acknowledgement, and a part of our journey with these younger artists is to make them aware of that. It is a great joy for us to have the Jealous Prize editions now forming part of the Victoria and Albert Museum collection, and proud for the Jealous Prize to be launched at The Saatchi Gallery. CB: One of Jealous latest shows, Flowers for your Darlings, has once again involved graduates and MA students. The contemporary panorama ironically offers much more opportunities of being discovered – through scholarships, funding, prizes – to youngsters than to mid-career artists. DI: In the last twenty years there has certainly been a shift from the modern to the contemporary. More and more collectors are choosing newer artists. Collectors, galleries and auction houses are looking for work to reflect the now, the immediate. There is the perception that these younger artists are responding and reacting to the moment, and though to a certain extent this is true, it cannot be judged through a more realistic time frame. Collecting art is now no longer elitist, street art is traded at auction, illustrators and designers are shown alongside fine art. It is also true to say that some new collectors do not delve too deeply into art history, and possibly attach the same intellectual dialogue with their art as one may do with a product and commodity. The fact that fine artists are commonly collaborating with designers also blurs this division. CB: Compared to established ones, young & upcoming artists are a daring investment. Sometimes they blossom, their work evolves; some other times it just doesn’t develop. Is it the emotion of living this possible dynamic relationship that inspires you, makes you grow in turn and that keeps you betting on them? DI: As a studio and publisher we need a steady income to pay bills and fund projects. I have been around long enough to not mistake a commercially successful print with a good print, they are not always necessarily the same thing. If you can distinguish between the two, hopefully you can have a commercially viable studio whilst maintaining a legitimate ethos. With younger artists, as they are experimenting and seeking a language, much work can be derivative, fashionable or even a good idea badly executed. It is actually quite rare to see a coherent body of work that has been thought about, is well produced and shows a conscious understanding of what it wishes to be. As for relationships with artists, this is very important to us. We are not a ‘sausage factory’ that knocks out an edition. We have to trust each other. In the very old-fashioned sense, we have to ‘get on’. As a publisher we have to believe in the work. We are very soft sell when it comes to selling and exhibiting at a fair. All you can do is tell the truth. Why you like the artist, where they have studied, what their practice entails, what the work is about, how it is made, the shows the artist has been involved in, what they are like as a person etc. If you are genuine then you can have real conversations about the work. CB: You just touched on the fact that galleries are continuously looking for ‘fresh blood’. There is a euphoria in the art market: after the explosion of the speculative bubble in 2008 and the consequential crisis, now people are investing in art again, like never before. Stellar prices may also be just an extreme form of ranking, indicating nothing but a fleeting trend. In what measure, do you think the selling frenzy and hyping up of fads affects the career of an artist in bud? It can be a positive factor but also a risk, of being ground by this mechanism…. DI: Surely it is wrong to put the whole of the art market into one box. However in some areas of collecting there is the idea that if an edition does not sell immediately then it’s not good. If an artist does not have a sell-out show then they are not good. It is the culture of the ‘now’ and the immediate. There are artists that have a very strong record when it comes to selling limited edition prints and yet have very low prices when it comes to originals and vice versa. With younger artists too much hype can affect their longer term career. Gallerists do not spend as much time nurturing an artist and helping them grow as they once did. In fact many galleries now not solely represent, they take artists for shows, they ‘see how they go’. The relationship between artists and galleries now is not so strong and personal. They are more transient relationships. Each seeking an immediate success from the other. This unfortunately does go hand in hand with art becoming viewed as a product and branded as a recognisable object akin to the many luxury marques on offer. The younger artists are very aware of this and are very much more pro-active in pushing themselves to gain the notice of a searching audience. CB: During our last talk, you admitted to be amused by the astonishment of some wealthy collectors looking for an original print, in the moment they discover that actually prints have no original; each copy is. Maybe to avoid damages from the art market, and to use the advantages it offers at their best, one just needs to be a cautious and less unscrupulous dealer? DI: As I have said earlier, collectors buy for different reasons. As collecting is becoming more common as a hobby and pastime and indeed as an ‘investment’, not all collectors are as knowledgeable as they could be, and unlike other products the production of ‘good’ art cannot be a response to the consumers’ demand. However, what this demand does produce is a new strain of ‘cool’ gallery, with up to the minute branding, showing work that is more product than art. By this I mean that what such galleries show it is not art which responds to its surroundings with a particular voice, but rather art that is mimicking this and by so doing becomes a copy of art, a stylised product without the vitality, intention and without the true emotional engagement that one should experience. In short it is not the ‘real thing’. CB: After an initial boom, from the 80s onwards printing has been looked at as a less important medium, a side discipline, not as good as painting. Now prints are experiencing a great coming-back: they are considered relevant, glamorous once again. What led to this process? DI: Although collecting prints does come in and out of fashion to a certain extent, I do think that there has always been and will always be a solid core of collectors who recognise the fundamental importance of the role of prints. Sometimes the swing of the pendulum can be as simple as a change of exterior aesthetic where smaller pieces framed and behind glass are the ‘look’ of the moment. I am a great believer that prints, as opposed to their more glorified cousins ‘The Originals’, give the details and tell the more complete story of the artist’s journey, and is sometimes the medium of choice to tell the tale for many artists. From the expansive ‘Homage To The Square’ by Albers, to the comprehensive print works by Miro, and from Holbein the Younger, Durer, Rembrandt, Hogarth through to Matisse, Picasso, Warhol, Hirst and Banksy, prints reveal so much, not only of the concerns of the artist, but can also mirror our own desires and times more fully than a ‘masterpiece’ ever can. From etchings to the latest inkjets, through prints we can trace our relationship with art, seen as a decorative good for the house and become a medium of change, that has revealed itself many years on to be important ephemera of a time. Another reason for this renaissance has again to do with the market. The desire of people to own art. A print offers, more democratically and more economically, the possibility to own a piece of art by an artist whose originals are well out of range for the ordinary person. From an investment perspective people have also seen that prints by desirable artists can be now worth, in a very short space of time, many times their original selling price. 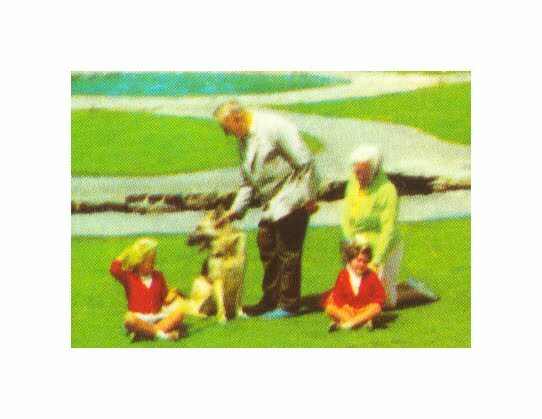 Alongside this we must also mention that because of the continual worldwide accessibility to instant information, many people now easily spot a Damien Hirst Spot Painting, a Tracey Emin drawing, a Banksy mural and so recognise these works as prints hanging in people’s homes. To certain collectors some pieces are akin to the mounted trophy. Art is becoming, not only a symbol of wealth as it has always been, but as a signifier of cultural eloquence to a new generation, a way of showing off. CB: Can’t agree more. How did you become interested in printing instead? What is that you enjoy the most about it? DI: It really began with a short course in silkscreen printing many years ago, and the rest is history as they say. On a very simple level I love the way ink sits on paper, the look of a silkscreen print. There is a vibrancy there that digital printing still lacks. In the studio we spend a lot of time discussing how certain inks react with different papers and how to achieve certain results. I also enjoy the positioning of a print studio. It is a place where egos are left at the door. The artist, gallery and studio all want the same thing. We work together to achieve something as good as it can be. There is a joy in that. I love the process of silkscreen printing. I like the idea of a perfect intentional creation repeated. I like the fact that you cannot hide behind the work; and by this I mean that the registration is perfect or it is not, the colours are matched or they are not. The elements have to fit and work together, there has to be a visual balance. Screen-printing is also a problem solving art: it is about understanding your medium and this only comes with experience. In many respects this is what sets Jealous apart. We thrive on the new, the untested and the experimental. We are a very forward thinking, hands-on studio and are always seeking to improve and to go forward. CB: That clarifies why you have to develop a trustful relation with each artist. DI: Indeed. Having a strong relationship with the artist you are working with is key. There must be a respect and openness between the two. If both printer and artist are relaxed and comfortable with each other then they will listen to each other, they will be happy to express their thoughts without worry and with this dialogue the work will move forward more positively. I want the best for the artists we work with. I want them to sell their work and return to produce some more with us. I want them to feel that we have helped with their practice, and that the studio experience has been positive. CB: Thank you very much for your time Dario. It’s always nice talking to inspired people.